Plato wrote the Apology and the Crito very early, and later wrote many dialogues between Socrates and prominent thinkers and figures of Athens. Anachronistically, this means that the rest of Plato’s dialogues we will study are supposed to have happened before Socrates’ trial and death, accounts of the questioning of others which condemned him. Socrates, as shown in the Apology and Crito, is concerned with ‘the good’, also called virtue, or ‘arete’ in the Greek. Meno, a rich student of the sophist Gorgias, is visiting Athens and argues with Socrates about the nature of goodness, claiming to know a great deal about the subject. Of course, Socrates, true to form, shows Meno that he is quite unclear on the subject. Meno begins by asking Socrates if virtue can be taught. Socrates replies that they should clarify what they mean by ‘virtue’, and Meno says that his teacher, Gorgias, has argued that virtue is different for different people. For adult men, virtue is staying alive while helping friends and harming enemies. In Plato’s Republic, this position is again taken up by Thrasymachus. For women, children and slaves, it is virtuous to be obedient. Socrates disagrees, and argues that virtue must be one and the same for all, regardless of age, gender or position. Justice, which includes self-control, is virtuous for all people. 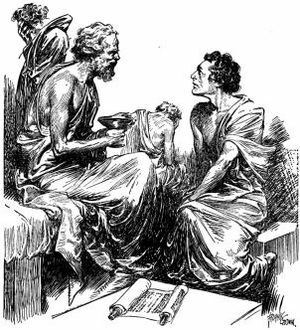 Meno, who has brought many slaves with him to Athens, suggests to Socrates that virtue is the ability to teach and lead others, but Socrates disagrees, as slaves and children do not lead others and so this would not be a virtue common to all, and so could not be virtue itself. While Socrates, in this early dialogue of Plato, does not say what virtue is, he says that it must be one and not many, common to all even if practiced in particular ways by particular people. 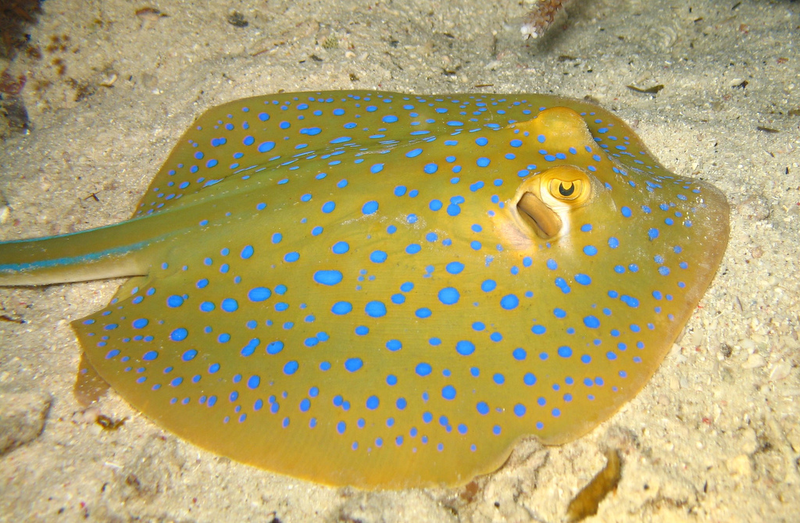 Meno, befuddled, compares Socrates to a stingray, a fish that stuns its victims. Socrates replies that unlike a stingray, he is stunned himself. 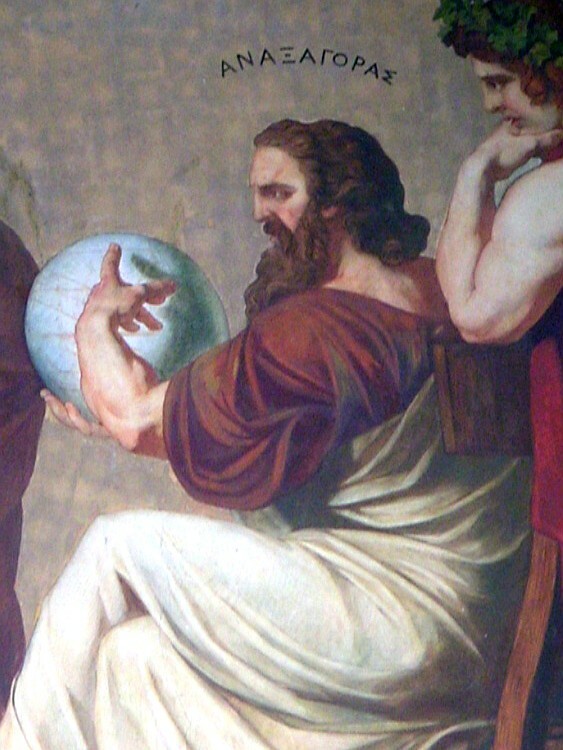 In the Republic, a later dialogue in which Plato begins putting forward his own ideas, Socrates proceeds to construct the form of the good with the help of others. In the Meno, Socrates suggests that while the definition of good may be beyond us, we can be lead to do good if we seek it out. Meno argues that it is impossible to search for something if we do not know what we are searching for. Socrates tells Meno that according to some priests and poets, human souls are immortal and have been reincarnated again and again over the ages. 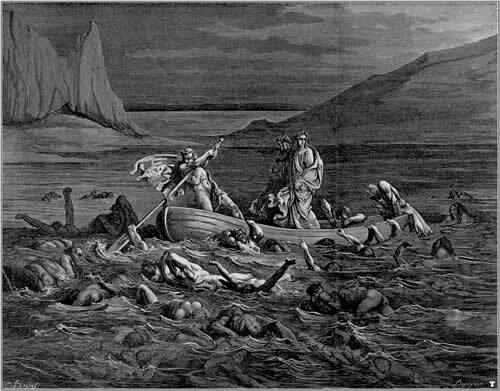 While the souls forget what they know each time they are reborn, they in fact are merely ignorant of what they know, concealing it from themselves, and so what humans call ‘learning’ is in fact recollection, anamnesis in the Greek. This is how we can seek out the good without knowing what it is, because we are merely ignorant of the fact that we recognize it on seeing it, having known it from before. There is a story told by early Indian Buddhists of a king who sews his wealth into his coat and then gets drunk, forgetting he is a king and living as a beggar, not realizing that he still carries his riches with him. Meno asks for a demonstration, and Socrates asks him to pick out one of his slaves. Meno picks a Greek slave boy, and calls him forward. Socrates, in the most famous part of the dialogue, leads the boy through a proof of geometry in spite of the boy’s having no formal mathematical education. Socrates draws a square on the floor in the sand, the way geometry was done in ancient Greece, and asks the boy how long a line would have to be to be the side of a square twice as large as the square on the floor. The boy guesses incorrectly, guessing that a line twice as long would work but this is far too much. At each point, while Socrates leads the boy through the proof, he asks the boy a question at every turn, showing that it is the boy himself who is making each judgement, not Socrates himself telling the boy what is true. 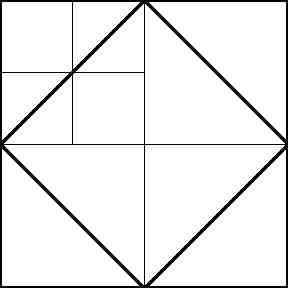 Socrates constructs a square of four squares, each the size of the original square, and leads the boy by questions to see that if the four squares are bisected with diagonal lines, one can construct a square in the center which is four halves of the original square, twice the area of the original, and so it is the length of the diagonal which gives us the length of the side we sought. Socrates believes that the ability of the slave boy to make each judgement correctly on his own is evidence that we do know all things and come to recognize what we have concealed from ourselves when we see it again. In the Apology, Socrates argued that we think we know, but don’t know that we don’t know. Now, in the Meno, Socrates argues that we do know, but don’t know that we know. How are these two to be reconciled? Socrates is drawing a contrast between false human knowledge and the true knowledge of the cosmos which can lead us through intuition to the good just as Socrates leads the slave boy through geometric proofs. Our mortality, our limitation as human beings, conceals from us what we truly are, which we recognize even as it is beyond us. Meno is convinced by Socrates’ demonstration that he is right, to which Socrates characteristically replies that he does not know whether he is wholly right about the matter or not, but that he will continue to believe that we can strive for what is good beyond ourselves. This is quite similar to Anaxagoras, who compared our human minds to beasts, who are lead in the right direction by the great cosmic mind, who was, like Socrates, charged with impiety by the Athenian assembly.